Yigit Kocak is the inbound marketing manager at Prisync, the competitor price tracking software for e-commerce companies of all sizes around the world. I don’t have to tell you that the world of eCommerce is competitive. Just as you’re getting started with your online store, three more open selling almost identical products to you. The only way you can really dominate is by being as competitive as you can. You might consider using dynamic pricing software for that but let’s move on to our post. There are a number of different ways you can be competitive, not just through your pricing (but through being productive too). In this blog post, we’re going to look at four specific tactics you can implement to ensure you stay ahead of your competition and increase your profits. When it comes to e-commerce competition, most people’s first thoughts fall to pricing. After all, if you can offer the most competitive pricing, surely people will just shop with you and ignore your competition, right? As you’ll find out in the later sections of this blog post, there are other ways you can be competitive without just relying on your pricing. However, with that said, pricing is still an effective way to stay competitive within the world of e-Commerce. One particular competitive pricing tactic you can implement is negotiating better deals with your suppliers so even though you’re charging less than your competitors, your profit margin is actually higher. This Keep Cup retails for £14.95. Let’s compare that to this Keepcup on Amazon. It retails for more money: £15.49. Suppose the first company (14.95) managed to buy their KeepCup from their supplier for £0.95 per unit. But let’s say the second company managed to buy their cup from their supplier for £2.49. That’s a profit margin of £13. So even though the original company is charging less for their product, they’re still making more profit than the company charging more. This is why it can be so effective to talk to your suppliers and see if there is any leeway in terms of how much they charge you to manufacture your products. Every person and their dog is on social media these days. No seriously, so many dogs have their own social media accounts. So if you’re not taking advantage of this audience, you’re leaving serious money on the table. People spend endless hours on their social media channels and many are happy to follow their favorite brands and make use of specific “social-only” deals and offers. If you can get your social strategy right, you’re well on the way to overtaking your competitors. Ikea for example, use social media to showcase their products within the customer’s homes. Ikea understands that there is a wide audience of people who like to share images of their homes. In fact, there are even entire Instagram accounts dedicated to people’s homes. 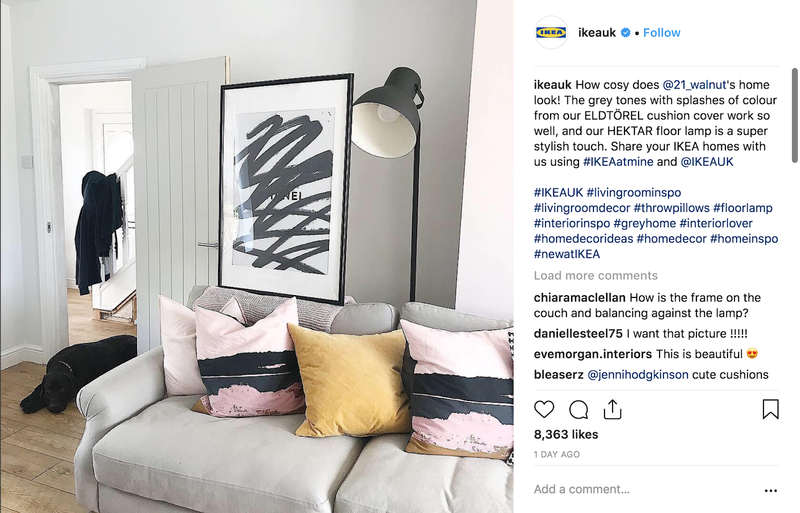 So when Ikea see that an Instagram user has taken a photo with Ikea products, they’re happy to share that image on their own social channels to promote the customer. If you were a customer looking to increase your following for your home Instagram account, being featured on Ikea’s social channels would be a dream come true. Especially given the fact that Ikea has so many followers across all regions of their accounts. At the end of the day, if you are the first company potential customers think of when looking for a product, you’re going to take the competition away from your competitors and over to you. Social media, when done right, is a powerful way to help people remember your brand as a brand and not just an online store they bought something for one time. The technology available to you as an eCommerce store is increasing exponentially. This means there is a wide range of different technologies and integrations you can use to improve the way your eCommerce store works. You might want to make use of a loyalty program extension like Smile.io who offer a range of features within their product to help reward customers. You can offer your customers the chance to win points for money spent, or perhaps referrals are important to you. In that case, you can offer rewards to customers who refer new customers to you. It allows you to stay competitive because it keeps customers spending their money with you. If they know staying loyal increases their own rewards, they’re likely to do it, right? Or perhaps, you want to implement a smart pricing tool like Prisync to help you stay competitive with your pricing. Prisync is an integration that allows you to monitor your competitors’ current and historical prices in order to provide you with suggestions for the best price. It allows you to stay competitive because you consistently know the maximum price your customers are likely to accept based on the data of your own eCommerce store as well as your competitors. Be careful, however, not to use too many different integrations. Using too many runs two risks. How a potential customer interacts with your store all comes down to the user experience. 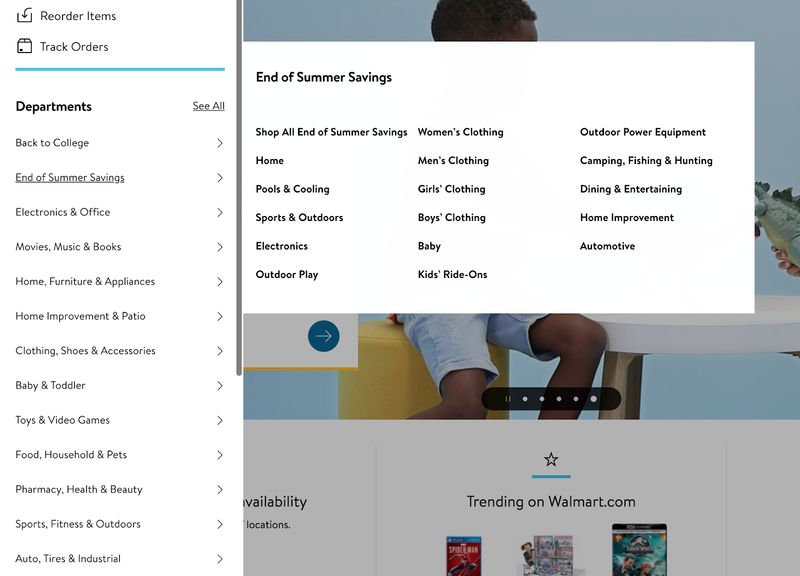 If you have a good user experience, customers will be able to easily navigate your site, find the items they want to buy and checkout with ease. If you have a bad user experience, your potential customers will struggle to use your site and in most cases, won’t buy from you at all. You’d be surprised at how many sites have a bad user experience. With the right checklist, it’s not difficult at all to improve your user experience. You have a sure fire way to stand out against your competition. Consider, for a second, Walmart. Although it’s a big store, a household name, the actual site is particularly difficult to navigate. The issue is that because they sell everything, it can often be difficult to find what you’re actually looking for. For many customers, when they’re presented with too much information, instead of spending time trawling the site, they simply leave instead. Consider your own eCommerce user experience. Getting it right could be the difference between sales for you and sales for your competitors. How smart are your eCommerce tactics? In this blog post, we’ve looked at a number of different ways you can become more competitive and sell more products. We’ve looked at how most people consider pricing first and foremost when it comes to their pricing. You’ve considered the various different ways you could use price within your own eCommerce store to stand out, and you may have even tried a few tactics yourself. Social media is a crucial aspect to improve the way you communicate with your customers. We’ve looked at how we can also use social media to improve the competitive nature of your eCommerce store and stand out against your competitors. We’ve looked at user experience and why it’s important to not only have a good user experience for your customers but to have a cohesive experience across any medium you sell on. Combined, you now have a powerful list of tactics to use to stay ahead of the competition. Not every tactic will be right for every eCommerce store, but hopefully, this blog post has given you some food for thought when it comes to competitive tactics for eCommerce.